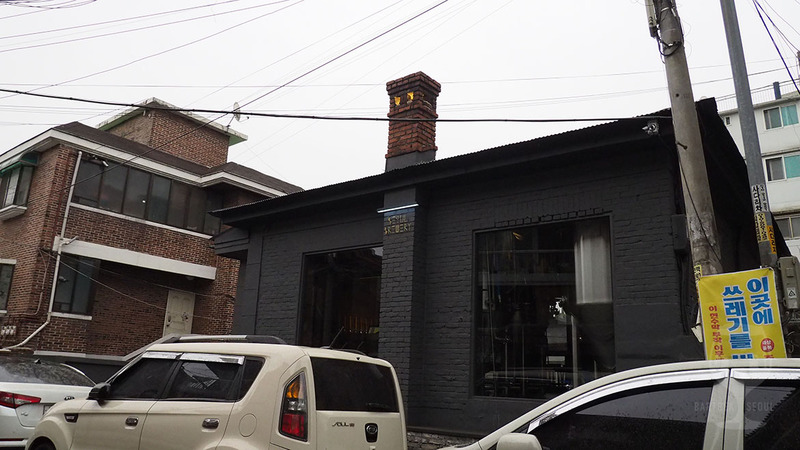 With such a name the location could have been anywhere, but Seoul Brewery is located in a small, blooming residential backstreet near Hapjeong station. 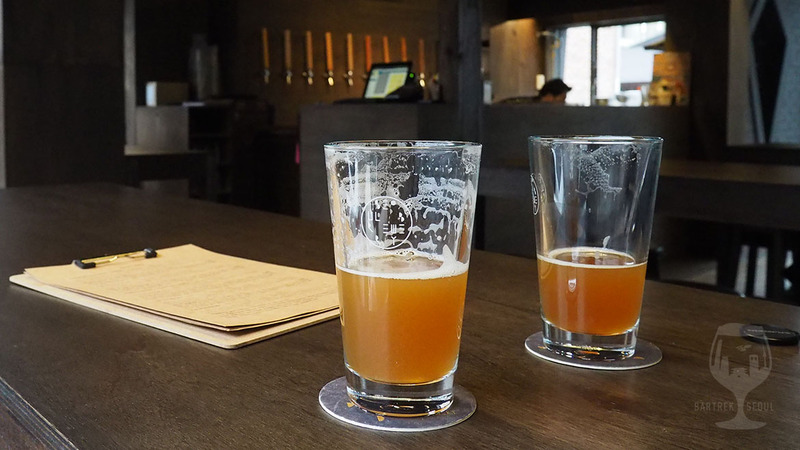 Their new and modern brewery and tap house was opened less than a year ago, and have a good selection of beers from near and far. 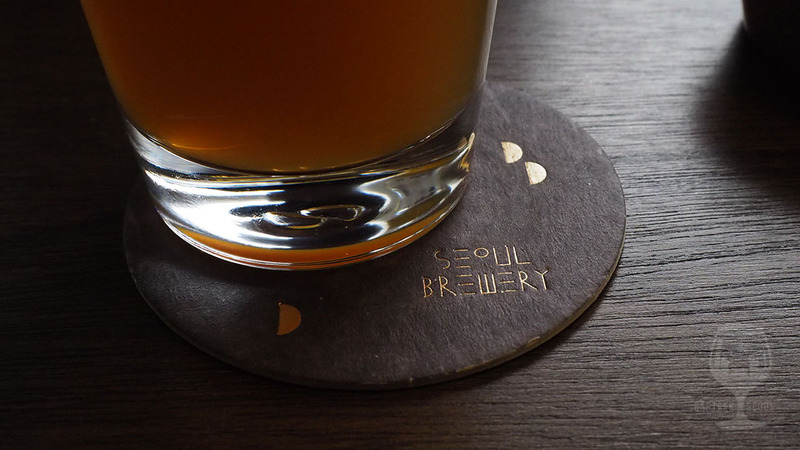 Coasters with neat golden details. 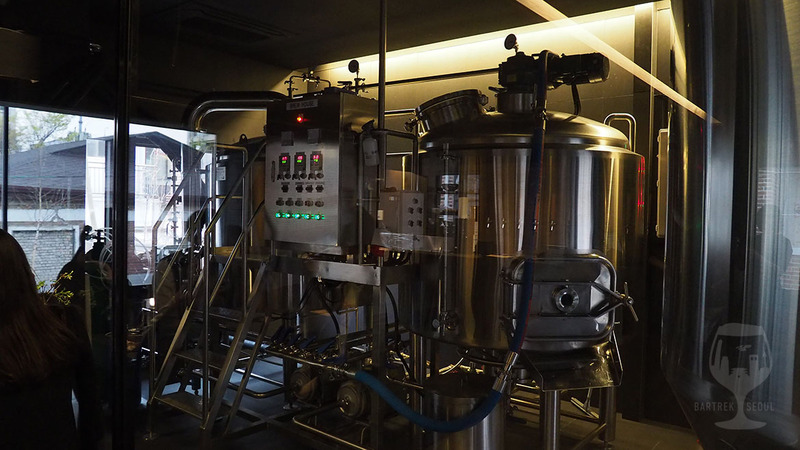 The building itself has large glass panels proudly displaying the brewing equipment, and is otherwise modern and toned down, well fit for the otherwise residential neighborhood. 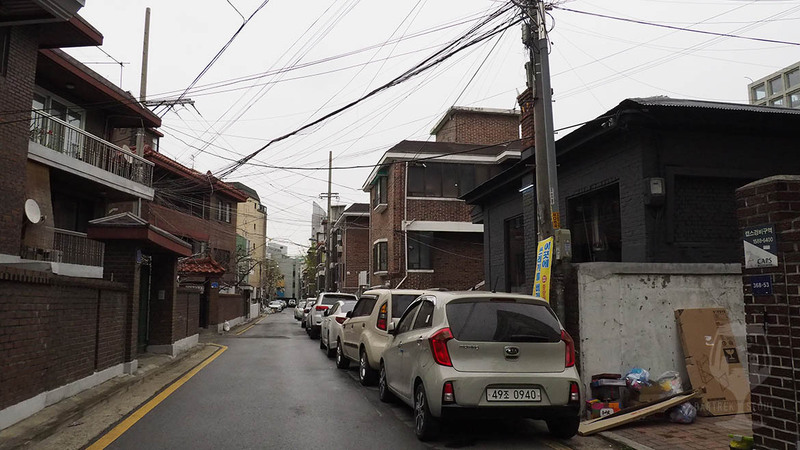 Seoul Brewery is far from the only enterprise to set up shop in this seemingly blooming area, and on the way here from Hapjeong station we passed plenty of coffee shops, burger joints and small stores. 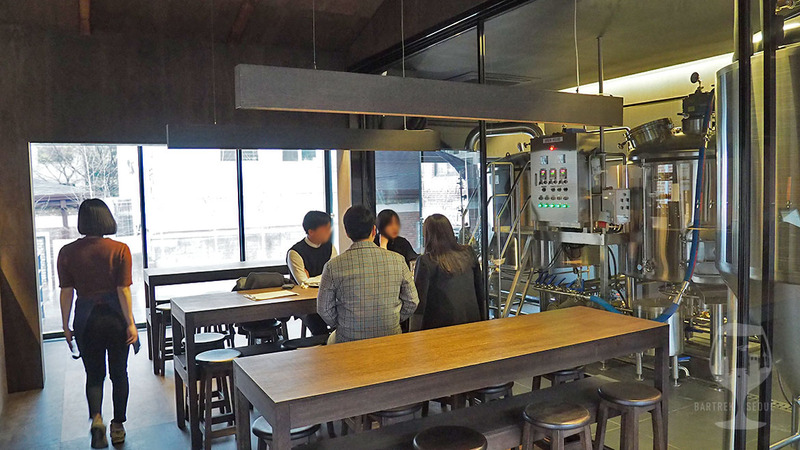 Newly opened, Seoul Brewery is a welcome addition to the long list of craft breweries in Seoul, and the tap house will even have some outdoor seating for the long, Korean summer. On tap we find a good selection of their own beers, collaborations and imports, which are all well described in English, making it an easy recommendation for thirsty travelers that like to make informed decisions. 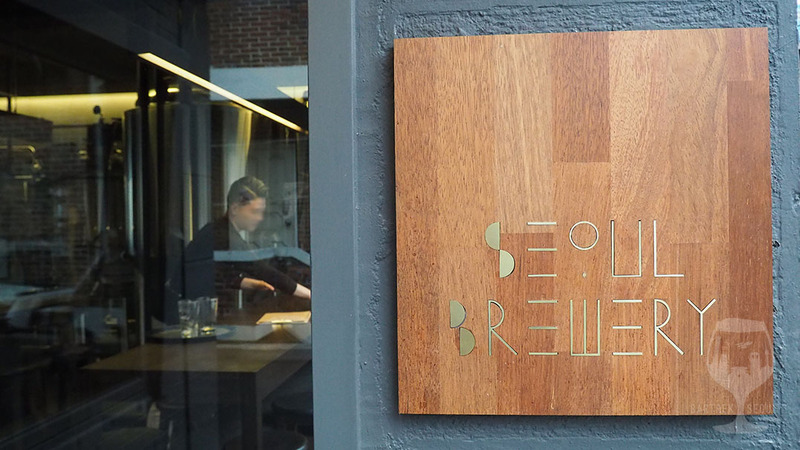 Seoul Brewery specialize in American style Ales. Pale Blue Dot IPA and Gold Rush California Common. 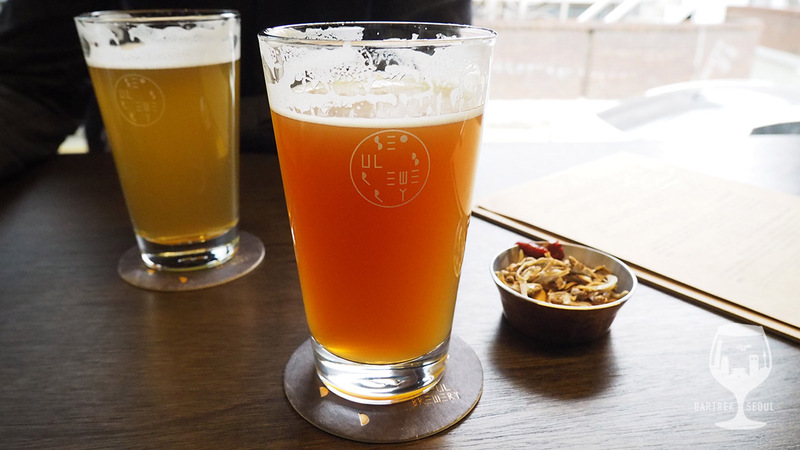 Seoul Brewery specializes in ales with wild and fruity tones. The first beer of the night, Gold Rush, is a sharp and fresh amber lager with piney overtones. The thoroughly hopped body is balanced with slightly smokey and caramel-sweet malts and a nutty aftertaste. 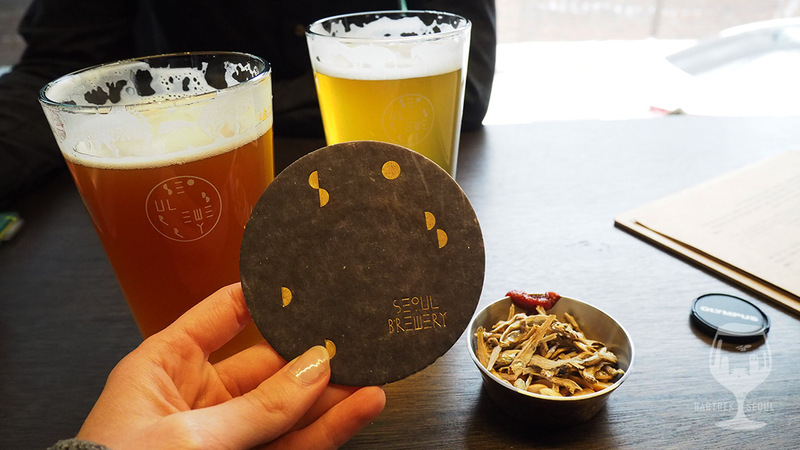 A little unique flavor in Seoul, but a great beer that sets the tone of the place. Next up we tried the Pale Blue Dot IPA, named after the famous Voyager picture, but far from spaced out. In fact it is another down-to-earth piney beer, fresh and foresty, but with lots of classic IPA taste. Light and cloudy color, with a strong, but not overpowering citrusy and yeasty flavor. Another high-scoring beer in my book. 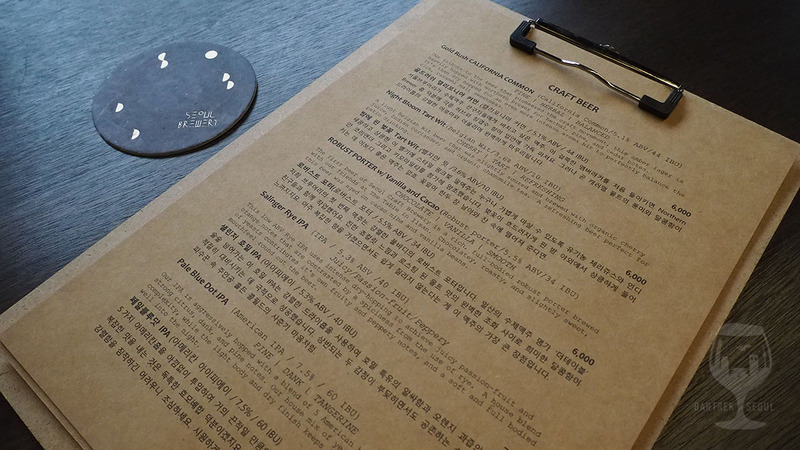 With both English and Korean descriptions, the tap list is easy to read for anyone. Both Korean and import beers are available on tap! 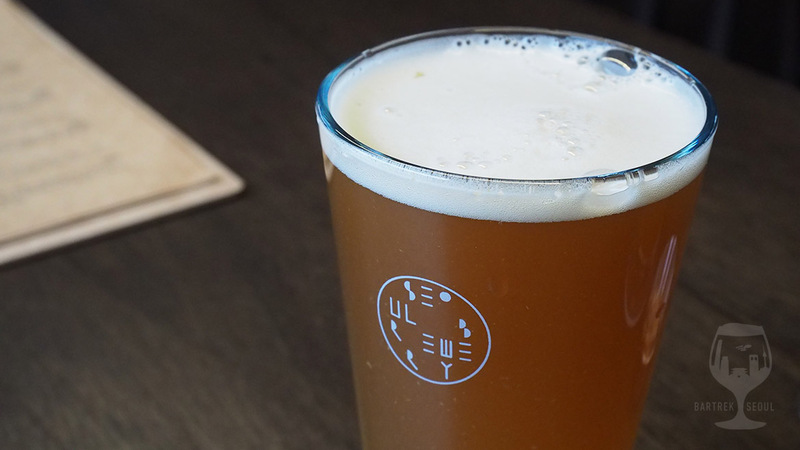 The beers are well described in the menu, prices are fair and servings are generous – simple is better! 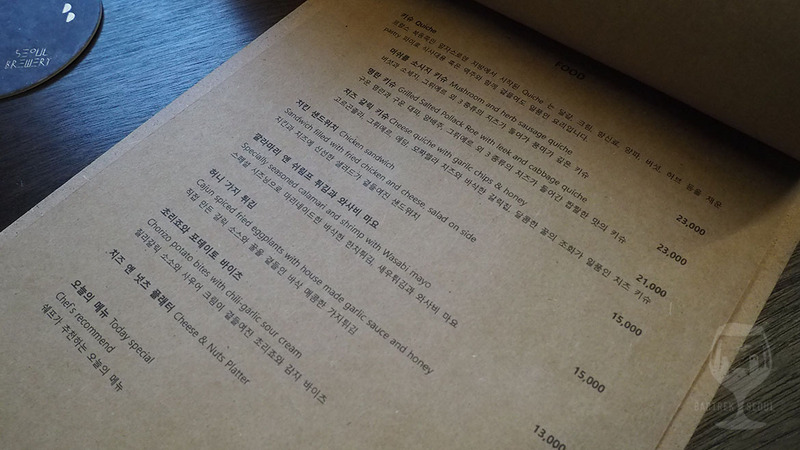 The food menu is also looking good, with some choices straying relatively far from the classic bar foods. On the backside of the venue there is a patio which will have some outdoor seating in the warmer months. Inside there are several large tables suitable for large and small groups, and a few seats near the windows. Most of the other guests are young workers getting and dating couples out for an early Sunday drink. 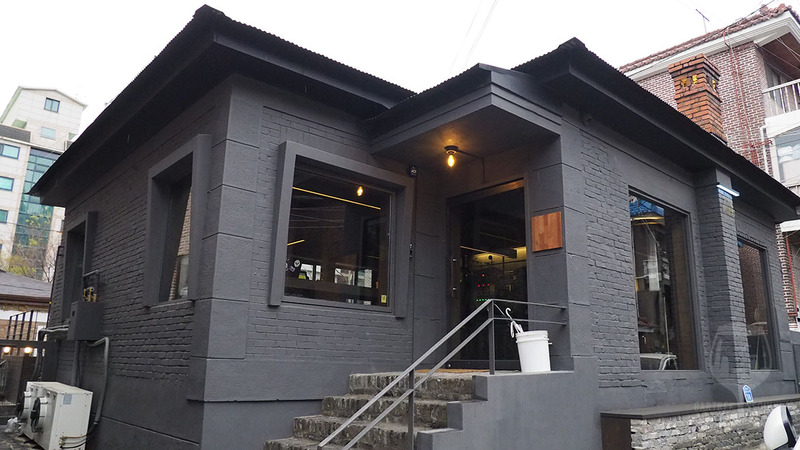 Judging from the location, it will never be too noisy in or around the bar, and can make a quiet refuge from (or prelude to) the intense nightlife in nearby Hongdae. As usual, the music is completely off the mark, but even with this many hard surfaces the acoustics are no problem and the different groups can converse easily and discretely. Shot towards the bar, simple, but effective interior. What is Korean beer without anju? 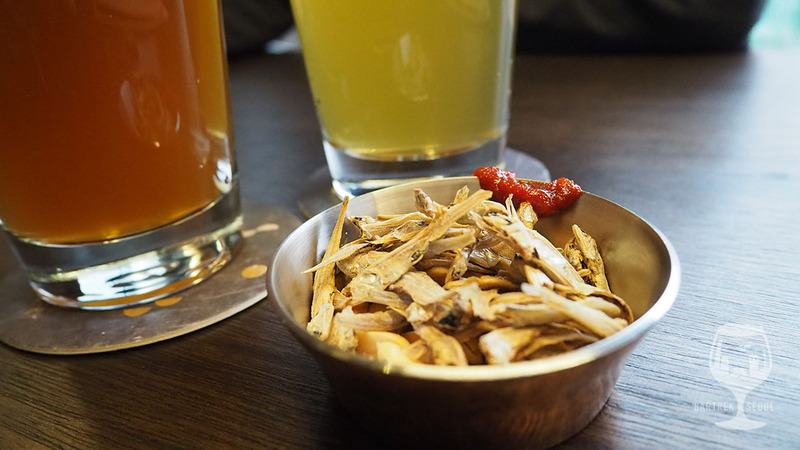 The snack served at Seoul Brewery is tiny, dried fish. There are no taster sets on the menu, but I want to get through at least one more before we move on, and settle on the Rye IPA. Creamy and spicy, but not as hoppy as the description boasts, this is an easy-drink IPA with an adult aftertaste. The body is cloudy with some sediment, which makes it stand a bit out from the crowd, but overall familiar flavors and easy to like. Well made. 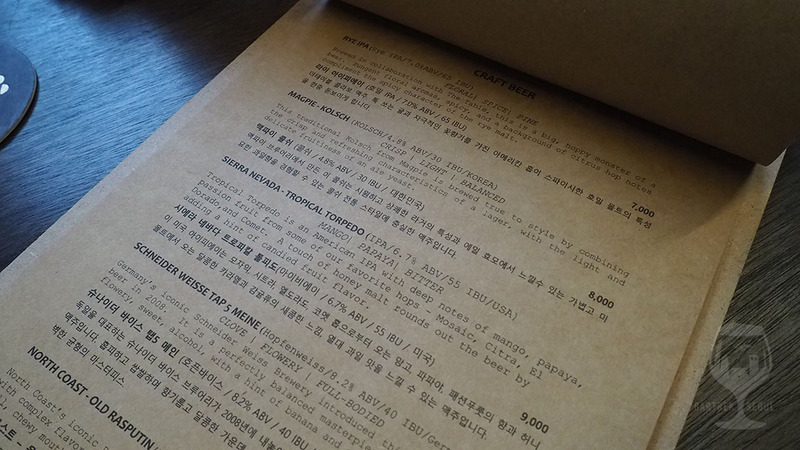 Food menu at Seoul Brewery. Long tables for large and small groups. Clean and neat brewing equipment proudly on display. 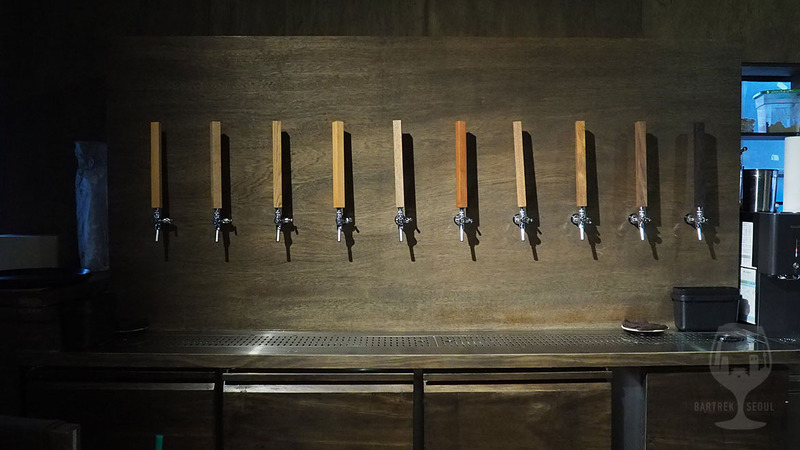 Tasteful minimalism all the way to the wooden tap handles.